Description: A free editable home reflected ceiling plan template is provided to download and print. Quickly get a head-start when creating your own home reflected ceiling plan. 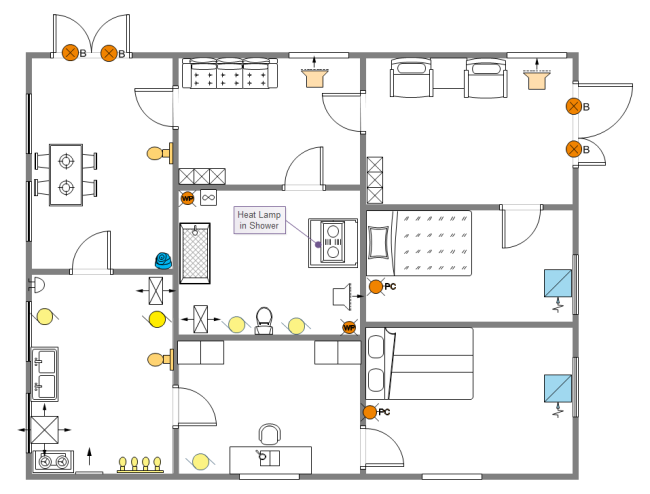 Here is a simple home reflected ceiling plan example created by Edraw Max, which is available in different formats. Drawing home reflected plan has never been easier with the help of this free printable home reflected ceiling plan example.